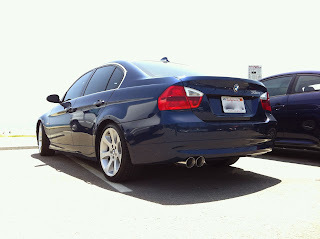 dimisatips.com: DiMisa V 3.5 for 330i BMW, Hotness! 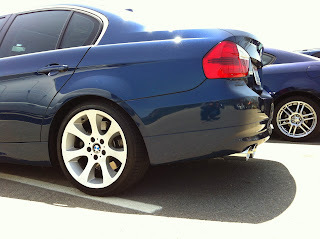 DiMisa V 3.5 for 330i BMW, Hotness! Here's our customer Reuben S.'s car from California. We are so pleased with the aggressive look these gorgeous 3.5" stainless steel tips look on the BMW 330i car. You can order at www.dimisatips.com to get your very own. 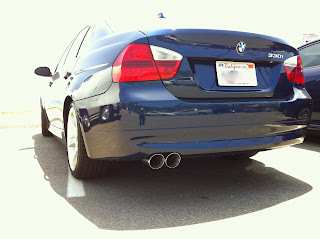 Our V 3.5 were fit to his custom Magnaflow exhaust set up with little adaptations! Happy motoring from the guys at DiMisaTips.com! nice information.thanks for sharing this important information.Buy BMW 330i Tyres Online and Buy BMW 520D Tyres Online in very reasonable price. BMW is an awesome car.thanks for sharing this important information.Buy BMW 523i Tyres Online and Buy BMW 525D Tyres Online in very affordable price.